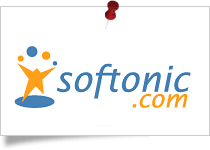 Softonic rates SysTools WAB Converter Software as the best utility to convert multiple WAB files to PST and CSV file format without Outlook Express installation. 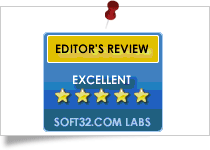 It is designed with multiple features which allow to preview, edit and scan contact attributes. 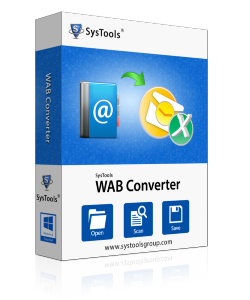 SysTools WAB Converter got 5 star rating by brothersoft for effectively converting address book contacts from Outlook Express WAB files to PST or CSV. 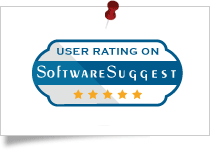 CNET gives 4 star rating to WAB Converter designed by SysTools for its excellent and efficient performance in exporting and saving WAB data into Outlook & Excel. 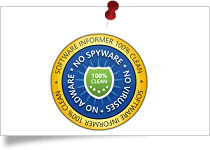 Software Informer gives 5 star rating to SysTools Wab Converter for being the best utility and provides great results without any virus and spyware. Software Suggest states SysTools Outlook Express WAB Converter as the highly suggested tool among all other utilities for exportig WAB files to PST or CSV file format. WAB to PST Converter Software allows user to export outlook express contacts to pst in batch. You can save the contacts either into Outlook or in MS Excel file format respectively. Also, during conversion software will export all the contact attributes with proper mapping. Once you add WAB file to the software, it will scan and list entire contacts from the file in an alphabetical order. This makes it easier to search for a specific contact from the whole list. WAB to CSV Converter software categorizes contacts from A to Z alphabets and lists contacts not having alphabetical initials under; "Others" category. After loading all contacts from Outlook Express WAB file; software generates a preview of them. You can view each contact with associated attributes like; business information, personal information, and additional information like; contact name, phone numbers, home & office address, company details, birth date etc. And if required, you can also edit the details as per your need. WAB to CSV Converter tool comes with a single panel user interface which makes it easier for the users to convert WAB to PST or Excel file. All software options & features are installed on a single panel; reducing complexity. This program can be used by technical or non-technical users without any skills to export outlook express contacts to csv file. Demo version of WAB Converter Software shows you brief conversion of the very first 15 contacts from .wab files to .pst & .xls file format. What is a WAB file? Where is it created? Windows Address Book; also called WAB file, is an address book file created by Outlook Express consisting of names, email ID, phone numbers, and other contact details of a respective user. What is the default location for WAB file? Can I convert Outlook Express contacts to Excel csv file format? Yes, using WAB to CSV Converter software you can successfully convert Outlook Express WAB contacts to PST (both ANSI and UNICODE) as well as XLS format using this software. Does SysTools WAB to PST Converter convert bulk contacts at once? Yes, you can convert any number of contacts with WAB to PST Converter software regardless of its quantity. You can export outlook express contacts to excel or Outlook all of them or selected contacts for recovery at once. Is this software capable of repairing corrupt WAB file? No, WAB to PST/CSV converter software is only meant to convert WAB contacts into PST or XLS format. Is MS Outlook environment needed to convert WAB contacts to PST format? Yes, MS Outlook must be installed on the respective conversion machine being used. You can install any version of Outlook (32-bit) and configure it with a dummy or valid POP3 profile for WAB to PST conversion. A lot of companies promised WAB file conversion but I was satisfied with none. Thankfully, somebody at work suggested WAB Converter tool. It was only after testing it and receiving full satisfaction; that I preceded for its purchase. Thanks, am really glad with its performance. I could not think of anyone else rather than SysTools WAB to PST Converter when stuck with a problem related to technology. Being a previous customer of one of your products, I feel that you have succeeded in rendering perfect solutions consistently throughout the years flawlessly.